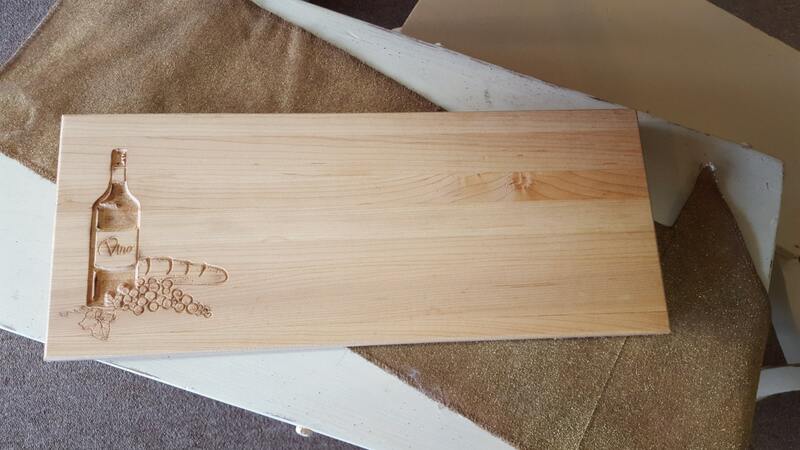 Beautiful Bread and Cheese Cutting Board made Hard Maple. Great for the bar! 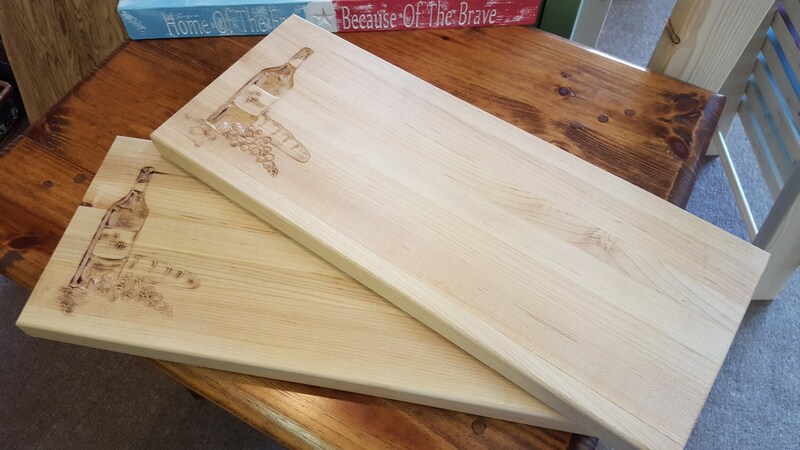 This beautiful bread and cheese cutting board will last for years... 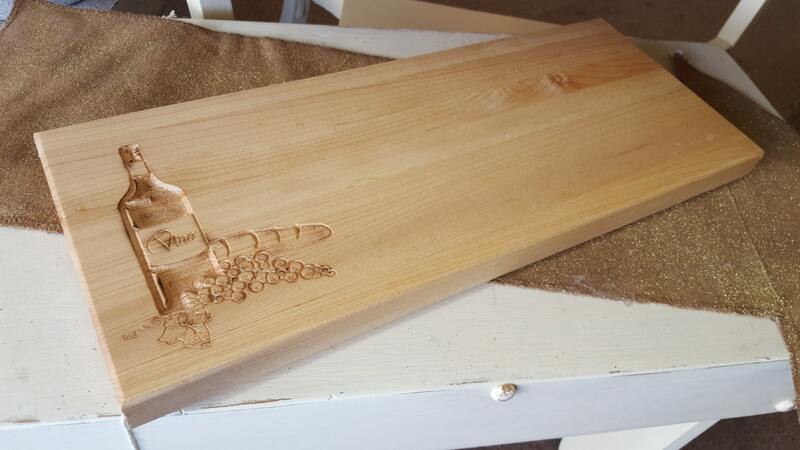 Built of Hard Maple and treated with food safe oils/wax. It measures 7 high x 17 wide and 1" thick. It has a beautiful caving that brings the spirit to the party. 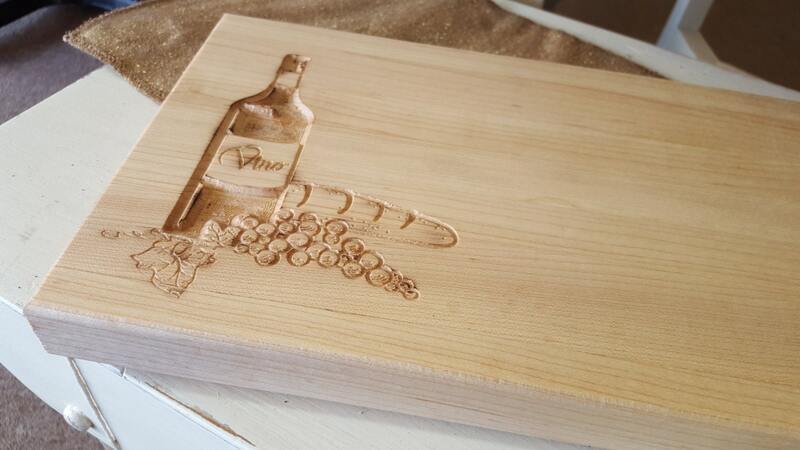 The wine bottle carving is then wood burnt to give it a rich deep look. This will certainly be a great add for your next party. If customizing, upon order Jo's Wood Gallery will email you a simulated proof for approval within 3 business days. Upon approval we will build product within 5-10 business days.